The word "Busia" is perfectly acceptable - as a shortening of a commonly used, diminutive old Polish form "Babusia"
This is the correct explanation of the term "Busia." I just spoke to my grandmother and asked her why we called her mother "Busia" and this is the explanation she gave me. Our Busia was from Wilno. She was not a Ukrainian. No, she was Polish and you are an idiot Dopeyandomine. The explaination has been given for the term "Busia" and your lies have been exposed. If she is Polish, why doesn't she know that it isn't a Polish word? The authoritative multi-volume Slownik Jezyka Polskiego (dictionary) of Karlowicz, Kryñski and Niedzwiedzki (Warsaw, 1905) lists the following forms: “babka, babcia, babciutka, babeczka, babusia, babuœ, babuchna, babunia, babuñcia, babuleñka and babulinka.” The “busia” version is not among them. Wow, I don't think I've ever before heard of a plastic Pole whose ancestors weren't even Polish! Busia is a shortened form of the Polish word Babusia and a term of endearment. PWEI and Delphiandomine you're attacking a deceased lady and that is beyond despicable. You really are ugly people. Should Busha not be Busza?? Otherwise, it looks like a borrowed word. Seanus, it is properly spelled Busia. Thanks, DE. I thought sth was amiss. Very interesting thread. I live in Omaha, Nebraska, and my Polish-American great-grandmother was called Busia by her grandkids. A few years ago I took a Polish class. There were about 10 students, all of us third or fourth generation Americans. Our teacher was a recent immigrant from Poland. All ten of us were familiar with the term "Busia", but our Polish teacher had never heard the term and informed us the word used in Poland is "Babcia". Busia's husband, my great-grandfather, was an uneducated Polish peasant, no doubt about it. I am very proud of what he managed to accomplish in his life. He came to this country with nothing, worked hard to provide for his family through the Great Depression. He never had the opportunity to get a good education, and worked his entire life as a butcher in South Omaha's stockyards. Four of his sons served in the U.S. Armed Forces in World War II. His many children and grandchildren have had many opportunities he never did to enjoy an education and a decent standard of living. My mom tried to teach him to read, but he just laughed her off saying you can't teach on old dog new tricks. So I say hats off to the millions of poor and uneducated peasants who managed to make it to these shores and did the best they could to give their kids a better life than they had. It seems that across the board, Americans of Polish descent whose Polish ancestors came to America around the turn of the last century are familiar with the term Busia. The word obviously does not exist in the Polish language of today, as any Pole will apparently attest to. It would be fascinating to find out where the term originated from. Nobody on this thread seems to have any hard data that would shed light on this most interesting phenomenon. The word was so widespread among Polish immigrants 100 years ago, and yet no Pole seems to have heard the word except from Americans of Polish descent. I understand how odd the word must sound to our Polish friends. The word Busia is dear to me because it conjures up all the warm and cozy images the term grandma brings to mind. The only theory I might throw out there is that the word "Busia" was probably not picked up here, but brought from the home country. Let's not forget that that particular generation arrived before internet, TV, or even radio. So many immigrants over such a large swath of the U.S. all using the same term form Grandma! The term clearly died out long, long ago in Poland, but managed to live on here in the U.S. I live in the Cleveland, Ohio area and my great-grandmother was known as Busha (Busia). She came to America from Poland (Konin area) in March 1913.
kaszubi.pl, Teki Kociewskie, zeszyt 1, Hanna Makurat, Babuś and buś of Kociewie region. According to "The language atlas of Kashubian and of the neighbouring dialects"[1, p. 234] the following forms are the counterparts of the nationwide word "dziadek" (grandfather) in the Kociewie area: babuś, buś, lól, lólek, opa, opapa, starusz(e)k, dziad(e)k, dziadul, dziadul(e)k , dziadzia, dziadzio, dziaduś, dziadziuś. Most of these forms are also evidenced in other Polish dialectal areas. Only the words babuś, buś are limited to the Kociewie region and - to some lesser extent - to the neighbouring areas: southern Kaszuby, Kaszuby-Krajna border and Tuchola area. Etymology of the words babuś, buś (grandfather) should be connected with the Old Slavonic core "bab" (derived from "baba"). According to Aleksander Brückner, the original form of "baba", initially did not have any strict meaning, and it underwent multiple transformations in various Slavic languages and dialects - created from various diminutive and hypocoristic forms. Babuś (grandfather) of Kociewie region is the derivative form created from the feminine babusia (grandmother). On the other hand the word busia (grandma), derived from hypocoristic form of babusia (grandmother), became the basis for the creation of derivative buś (grandfather). Derivatives babuś, buś are one of the very few examples in the history of Polish and Kashubian languages and their dialects where male forms have been created from the female ones. Analogous processes occur in Kashubian dialects: from the form babusia (grandmother) the derivative word babuś (grandfather) was formed, and beside the word busia (hypocoristic of babusia) other related female forms appear: buš'a and its diminutive form buš'ka. From the latter the male form buš'k (grandfather) has been derived, as well as buš'kov'e' (grandparents) , and buš'kov'izna ( supporting grandparents for life). The following may, or may not, be in any connection to Polish-American "busia". First Kashubian pioneers settled in Renfrew County, Ontario in 1858, where their descendants still reside, around the village of Wilno - altogether 9,380 Poles/Kushubs in 2001. Atlas językowy kaszubszczyzny i dialektów sąsiednich, oprac. przez zespół Zakładu Słowianoznawstwa PAN, pod kierunkiem Z. Stiebera, z. V, cz. I Mapy, Wrocław 1968, mapa 234.
are indeed being idiotic in their asinine quest to deny the Polishness of Polish-Americans based on the false claim that busia is not a Polish word. Very rare in Poland. A word you just don't hear. but your references are from a famous Kashubian place in Canada- Kashubian is not pure Polish. If you go to the north you can see the written language and hear the difference- so to claim that Busia is a Polish word based on these sources are not accurate. I don't remember anyone saying on PF that "babusia" is not used in Polish. But "busia" really is not. Also, the Kashubian info is very interesting, but has no direct bearing on the discussion, as Kashubian is not a dialect of Polish, but a separate language. Has it really? Not a mention of Busia. Or maybe you mean that the word was in older Polish dictionaries? The multi-volume Slownik Jezyka Polskiego (dictionary) of Karlowicz, Kryñski and Niedzwiedzki (Warsaw, 1905) lists the following forms: "babka, babcia, babciutka, babeczka, babusia, babuœ, babuchna, babunia, babuñcia, babuleñka and babulinka." No Busia there. Not a Busia there either. "Babusia" is also part of many dialects, including those from Western and Northern Poland, disconnected from Ruthenian regions as much as they could be. See for example "Gwary polskie", Dialekt wielkopolski, Wielkopolska Południowa. Thank you, Boletus, for clarifying the etymology of the word busia. Yes thank you Boletus for linking to so many Polish sources and demonstrating that not even one of them so much as mentions the word Busia. The Polishness of Polish-Americans has a direct negative correlation with the likelihood of them calling their Babcia Busia. I'd never seen or heard words like "busia" or "golumpki" outside this forum; you would never hear them used over here, because we are taught correct Polish by our parents. I may know words like hantuch and godka, which are used in certain parts of Poland, but it doesn't mean that they are truly Polish words. Godka is not so far from gadka, just with the characteristic Silesian vowel shift. Hantuch is, of course, a German borrowing. Do you have Silesian roots, Sidliste? Not quite, but I do have Silesian step-family. Is he really? Can we verify that? Yes he is and we can verify that based on his Polish which is clearly native. But of course you're not able to do it. we can verify that based on his Polish which is clearly native. Which would explain why he is insisting that a word which Wydawnictwo Naukowe PWN has no record of is actually Polish. I said "This word has been in Polish dictionaries for ages, along many other endearing forms" - referring to "babusia". I did not say "busia", I said "babusia". So no Harry, you are twisting my words on purpose. And Harry, until you start reading with comprehension there is no sense discussing anything with you. I advice you to go back to my original post and read it again. Did you miss the word "hypocoristic", that have been used at least 5 times, following the original author? Hypocoristic, hypocorism? "I speak the language of children? ": babusia -> busia. And Harry, staying on topic would be helpful too. And the topic is: "Babuś and buś as male derivative words from babusia and busia"
Also, the Kashubian info is very interesting, but has no direct bearing on the discussion, as Kashubian is not a dialect of Polish, but a separate language. Where did I say that Kashubian is a Polish dialect? I was careful to call it a language. However the beginning of the discussion, and the heart of it, started with the concept of "Kociewie" ethnocultural region. The author of that article clearly distinguished it from South Kashubian and from Kashubian-Krajna border. All three of them are clearly described in Wikipedia. So no, you cannot call either Krajna or Kociewie the Kaszuby proper. Did you see it? Kociewiacy are not Kaszuby, not Lasaki and not Borusy! Have you ever been to Bory Tucholskie? Have you ever taken a kayak down the Wda (Czarna Woda) river? That's Kociewie. Originally, those areas were settled by Kashubians. However, influx of Polish colonists into areas previously inhabited by Pomeranian Kashubian caused the formation of the Kociewie dialect. but your references are from a famous Kashubian place in Canada- Kashubian is not pure Polish. That's exactly it. I bet you that most of them are just "mongrels": mixed Polish/Kashubian. 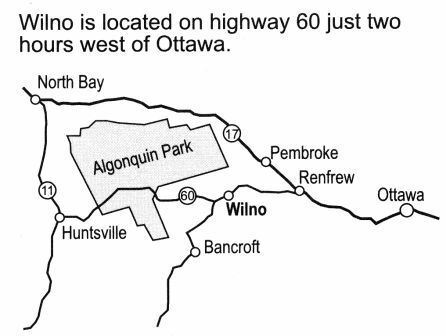 Be careful whom you interview around Barrys Bay and Wilno. Some declare themselves pure Kashubian, some Polish/Kashubian, and that includes the successful chairmans of the organization - variously referring to itself Canada's Polish/Kashub Cultural Heartland, etc. Go check the "Wilno" link and you will see all three flags in their front page. There are many such words. Besides, Boletus is talking about "babusia", not "busia". Babusia is a perfectly legitimate Polish word. Busia is a plausible abbreviation, it's simply not used in Poland, still it's ok from the linguistic point of view. You did not say "Busia"? How about the bit where you say "Babuś and buś as male derivative words from babusia and busia"? Babusia is a perfectly legitimate Polish word. Not used in Poland and not mentioned in any Polish sources. Not surprising that, given that Poles would use Baba or Babcia (or perhaps Babka). Very true. I've never heard the word. Only read it on here, written by people from a different continent. You nailed it there: the word 'busia' is most certainly not Polish (although it appears to be as Polish-American as pierogies and golumpkies). Another person with language comprehension problem. Go to the OP and read carefully the first 10 lines. All examples given there referred to "babusia", including dictionaries, dialects and literary examples. But no, Harry saw "busia" instead in his mind. So yes, he twisted my intent. I used Busia in different context, but not in that one. Go to the OP and read carefully the first 10 lines. Better still go to the OP and read it all. Carefully or otherwise. Those were direct quotes. Stop lying. And stop trying to frantically backpedal now you've been caught out. And stop wasting your time trying to 'prove' something that isn't there. Not used in Poland and not mentioned in any Polish sources. Nevertheless it's legitimate and that's the point of the whole discussion. Baba is something else entirely. Using it for babcia would be extremely rude unless coming from a toddler who's just learning to speak. Would you care to look at the contexts in which it was used? Better still go to the OP and read it all. Carefully or otherwise. You called me a liar. All I see is that your logic is pitifully screwed here. But go on..